It's the season for love. I'm not a super mushy emotional person, but I do love a good gift idea when I can find it. 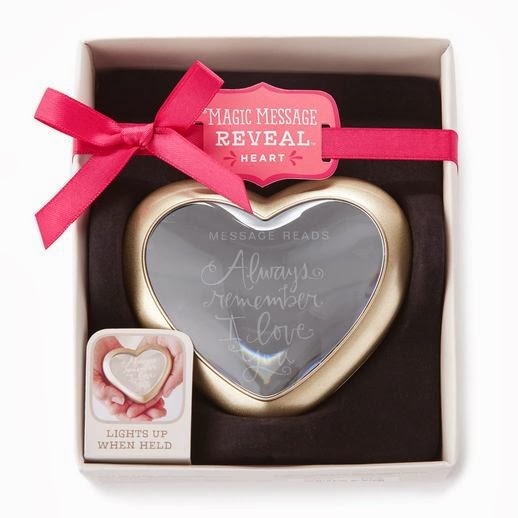 This neat product from Hallmark delivers an endearing message, lights up when held, and opens up to hold a small item inside. This is a gift that will be beautiful for almost anyone on your love list! Disclosure: I am a member of the Hallmark Press Pause Panel and receive occasional perks. All opinions remain honest and my own. Image credit: Hallmark Canada. I do celebrate Valentine's day. Yakety Smackety Dawg interactive stuffed animal is adorable! I love the Yakety Smackety Dawg Interactive toy! So cute!! I do not celebrate Valentine's Day. I actually dread it every year to be honest. I celebrate Valentine's Day. Nothing big but we usually go out for dinner. The Cupig is super cute! My husband and I don't really celebrate but I do get gifts for the kids.